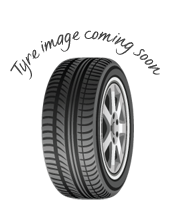 With a focus on all terrain driving the tread pattern of the Event Tyres ML698 is designed to provide excellent traction both on and off road. The highly flexible and durable compound used in the manufacturing of the Event Tyres ML698 lend themselves to off road and all terrain driving, allowing for rapid dispersal of mud and rain. No matter what conditions are thrown at this tyre it will handle them with ease, be it snow, rain, mud or dry roads. Also available in a RunFlat edition in certain sizes and part of the largest range of budegt off road tyre sizes. The highly flexible and durable compound used in the manufacturing of the Event Tyres ML698 lend themselves to off road and all terrain driving, allowing for rapid dispersal of mud and rain.No matter what conditions are thrown at this tyre it will handle them with ease, be it snow, rain, mud or dry roads.Also available in a RunFlat edition in certain sizes and part of the largest range of budegt off road tyre sizes.